Oreo Cakester petits fours, Oreos covered in fondant. Hmmm, I wonder if these little treats made from Oreos are refined enough to bear the name “petits fours.” But alas, if it looks like a petit four and tastes like a petit four, then petit four it is. These really are very simple to make, thanks to the wonderousness that is the Oreo Cakester. 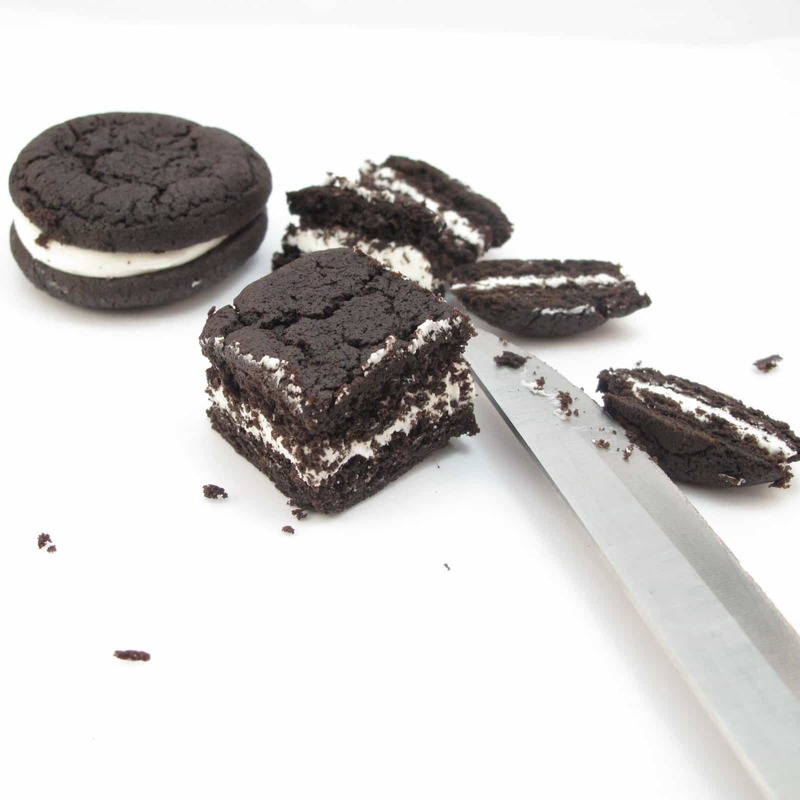 You can make Oreo Cakester petits fours. *Fondant is available at any craft store. For food coloring, I used Americolor soft gel pastes, Sky Blue, Orange, Electric Green and Electric Pink. 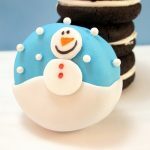 For decoration, I used a 1/2″ circle fondant cutter, also available at craft stores. With a sharp knife, cut off four edges from the cakester circle to create a cube. Eat the remnants, reserve the cubes on a piece of wax paper. Take a handful of fondant for each color you’d like. 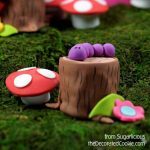 Knead drops of coloring into fondant very well until fully blended. Add drops to achieve desired colors. 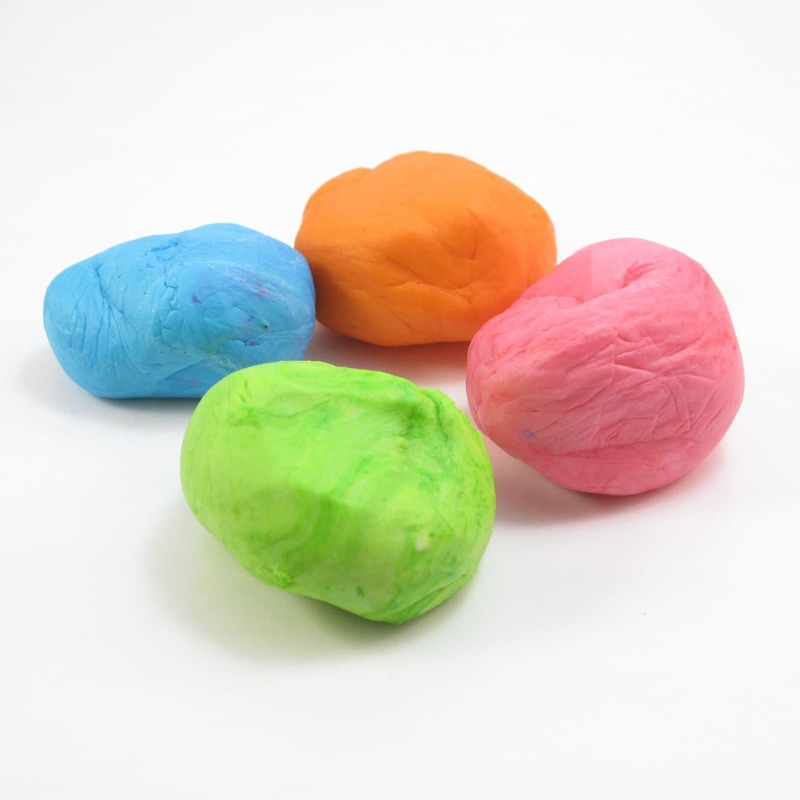 Take a ball of colored fondant (a few tablespoons worth) and roll thinly into a circle between two pieces of wax paper. Peel the circle from the wax paper and lay on top of a cakester cube. 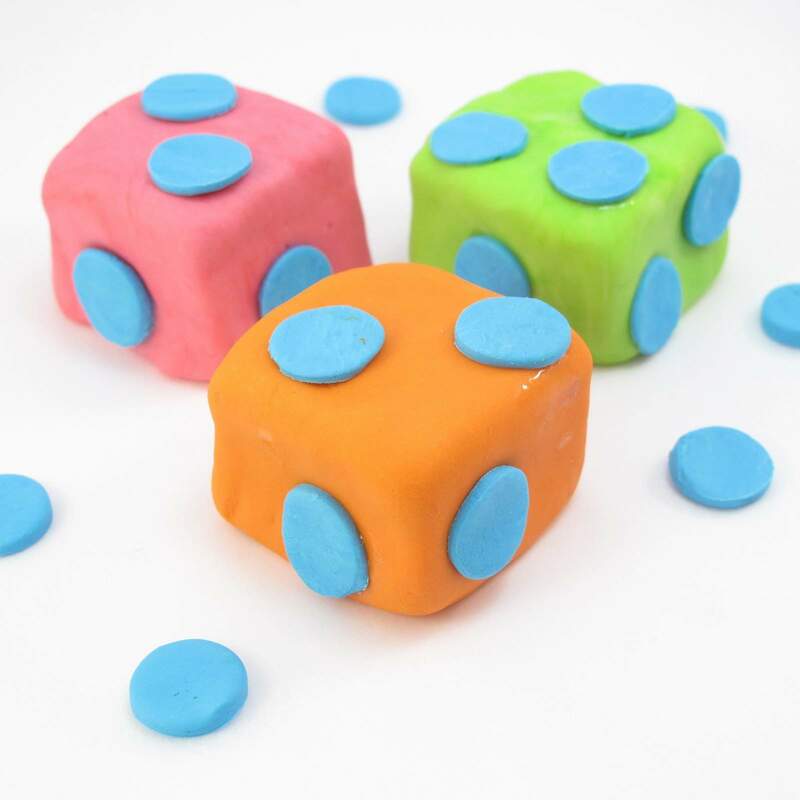 With fingers, press fondant around the cube. (Leave the cube sitting on the wax paper, you aren’t covering the bottom.) With a sharp knife, trim and remove excess fondant from around the base of the covered cube. No need to trim super-close to the cakester! After you remove the excess, pick up the cube and smooth the fondant around the edges, reshaping into a cube if needed, and tucking the trimmed end underneath the cube. 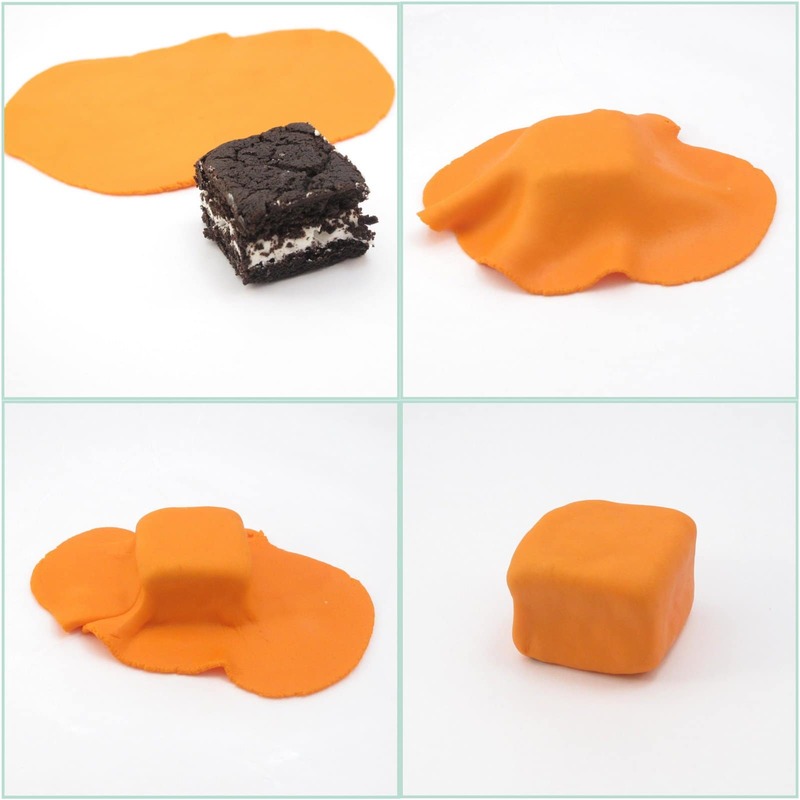 TIP: If fondant gets too sticky or unmanageable, simply let sit uncovered at room temperature for 5 minutes or more. 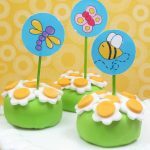 Decorate your petits fours with piped icing, candies, or, like I did, more fondant. 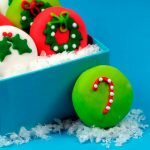 Roll out a ball of fondant between two pieces of wax paper. Cut out 1/2 inch circles and set aside to stiffen about an hour. Dab some light corn syrup on the underside of the circle and press onto petits fours. How cute are those! You just made something that I have been wanting to make. But have always been intimidated by lol. Now your way sounds delicious and easy. It's so sweet and looks delicious! I'll try to do like these..I hope I can.. Sorry for my English but I am using a translator, the cakes are really delicious, thanks for the explanations. Oh my goodness what a great idea!! So cute and simple! Im going to give this a go! 🙂 thanks!! Very clever!! And so cute too! Thank you all! these really were so easy (not perfect close up, but I'll take the easy). GREAT English Amalia! Too cute! Love our colorful those are 🙂 You are so creative!